Capos, stem winders, tuners, that irreplaceable pick. 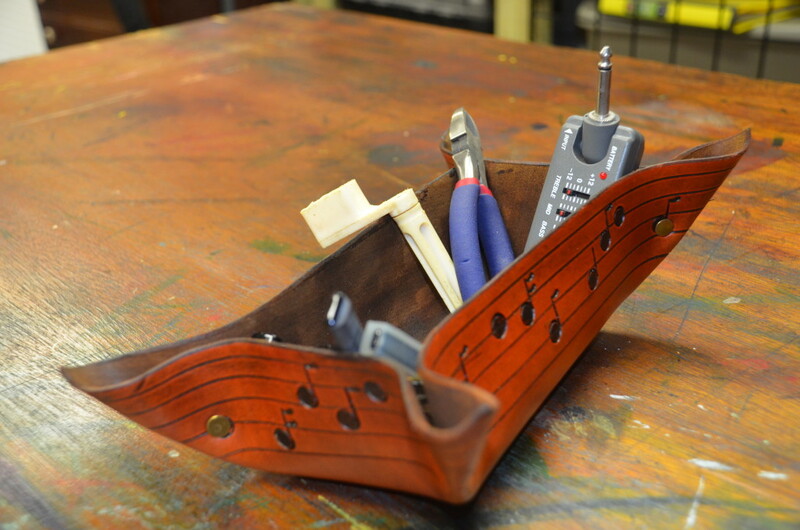 Keep your stuff together in this music-themed gondola bowl. To our knowledge, the tooled notes do not represent any know song, but you’re welcome to try. Royalties, please! Special orders and color combos? No problem. All you gotta do is call. 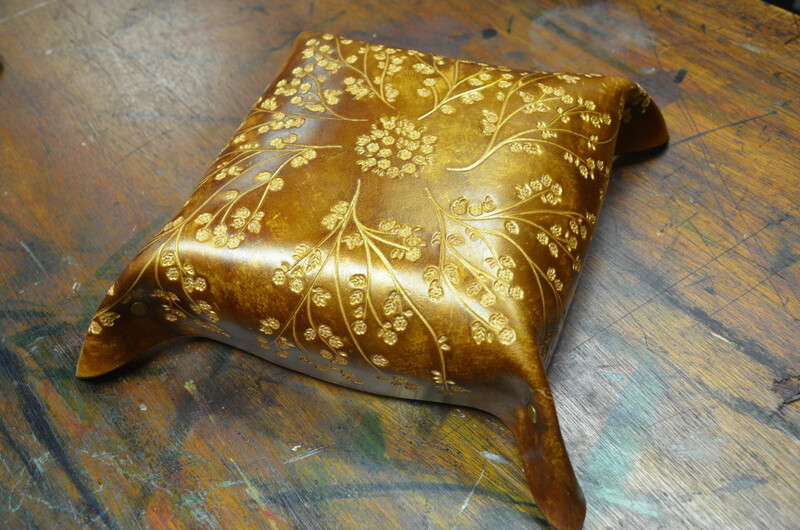 Right side up, or hanging on the wall, this earth tone over gold basket features a gorgeous vine pattern. A stunner…no doubt. Special orders and color combos? No problem. All you gotta do is call. 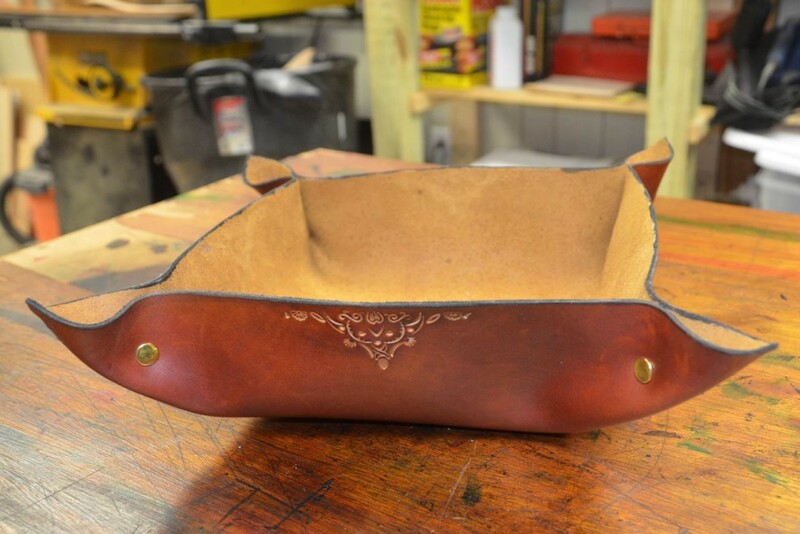 Full bottom tooling makes this basket perfect for filling or hanging. 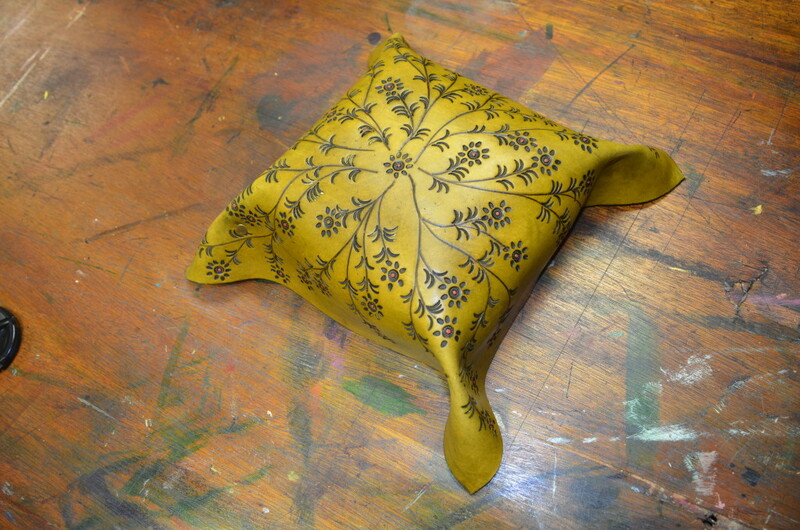 Chocilate3 over yellow with a radiating geometric tooling pattern. Very cool. Special orders and color combos? No problem. All you gotta do is call. 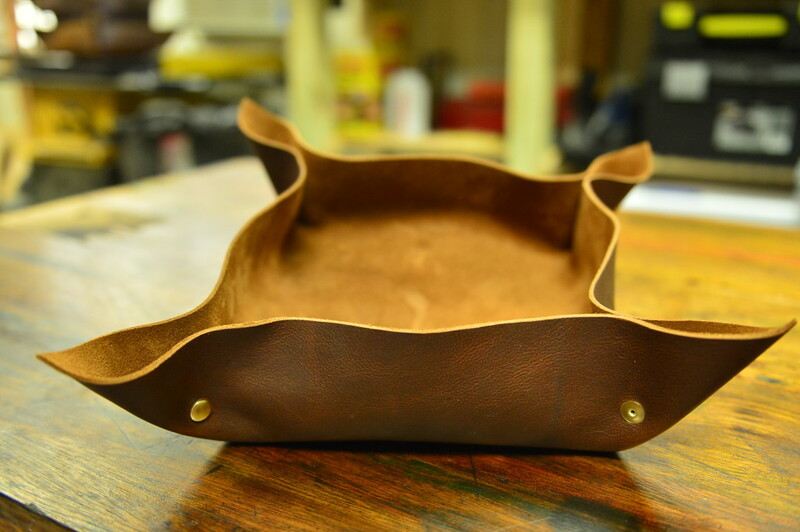 Leather baskets??? You bet. 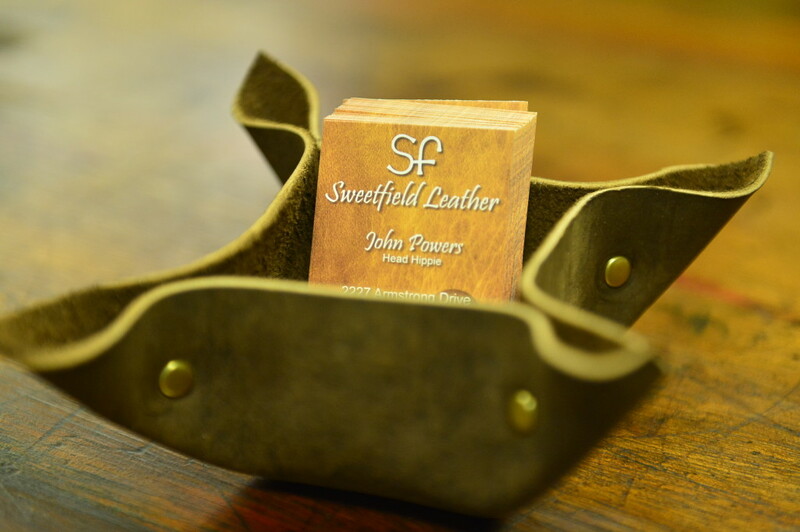 This down sized models takes your business card holder to a whole new level. 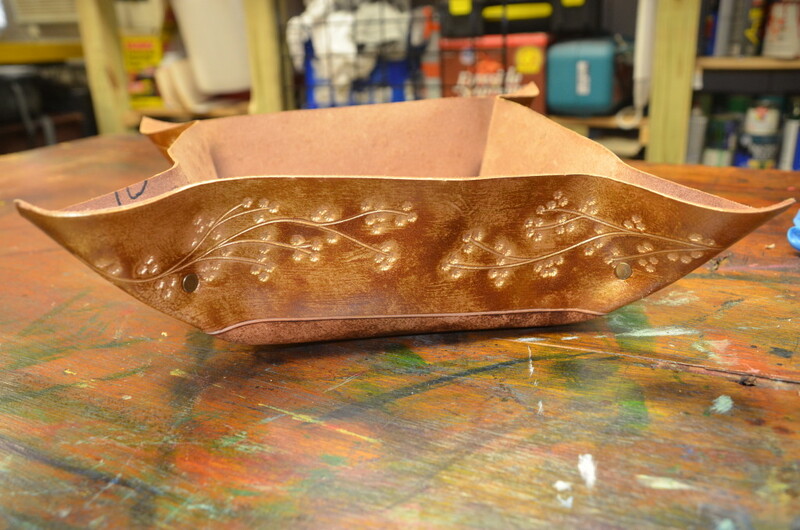 Completely tooled floral basket in tan antique. Hang it? Fill it? Alternate? It’s your call…and you can’t go wrong. Special orders and color combos? No problem. All you gotta do is call. 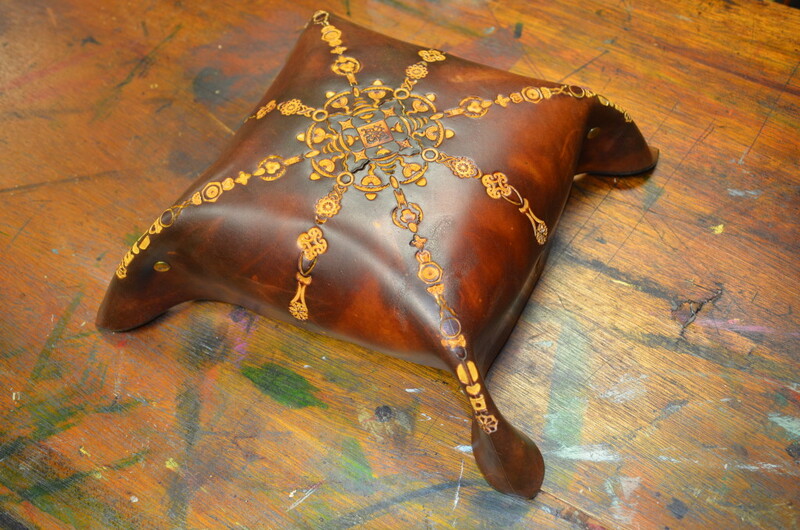 Nice supple leather is great for centerpieces, snacks or anything else you need to confine. Expands as you fill it. About 10″ square. Nice brown tones. Light brown over gold. Tasty harvest pattern in this large basket. Interesting three-inch border design. Uber chic. Special orders and color combos? No problem. All you gotta do is call. Border tooled latigo bowl is extremely sturdy. Classis brown over yellow really highlights the grain. 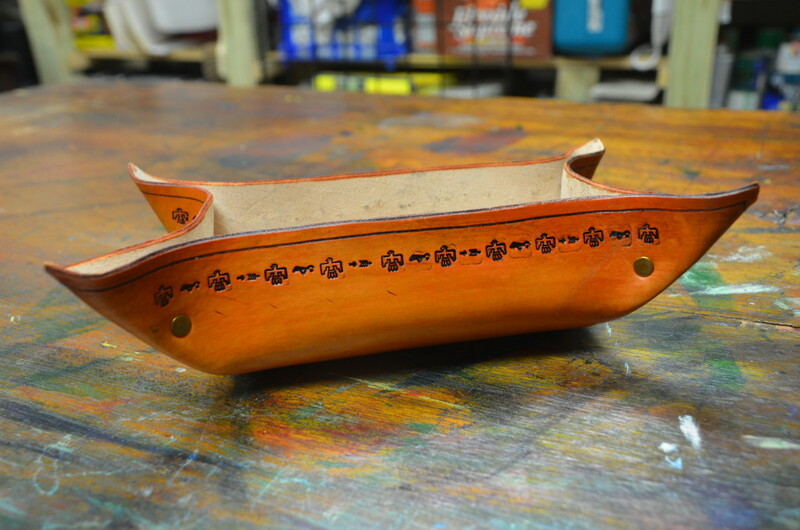 Native American border pattern adorns this gondola basket. 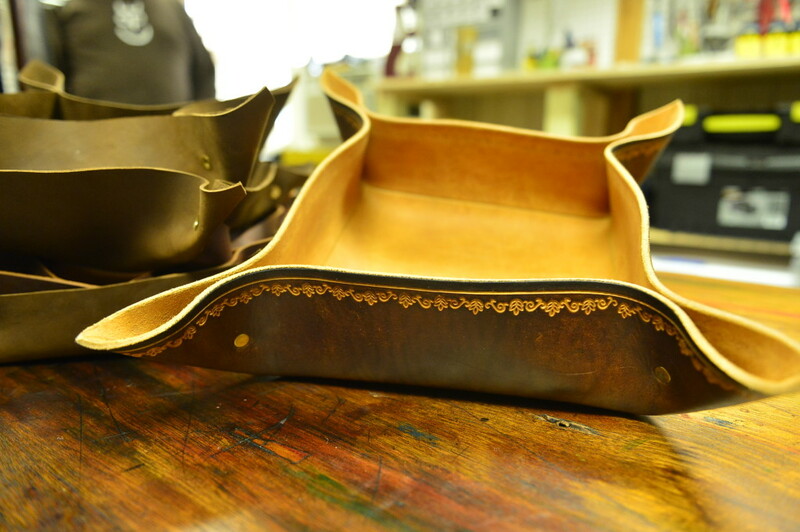 Saddle tan antique for max versatility. What can you corral in this one? Special orders and color combos? No problem. All you gotta do is call. Brown over yellow. Nice center tooling. Throw this one of your bureau to consolidate your keys, wallet and magnifiers.